It is still not enough for language to have clarity and content… it must also have a goal and an imperative. Otherwise from language we descend to chatter, from chatter to babble and from babble to confusion. 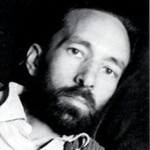 René Daumal was a French spiritual para-surrealist writer and poet. He was born in Boulzicourt, Ardennes, France. In his late teens his avant-garde poetry was published in France's leading journals, and in his early twenties, although courted by André Breton co-founded, as a counter to Surrealism and Dada, a literary journal, "Le Grand Jeu" with three friends, collectively known as the Simplists, including poet Roger Gilbert-Lecomte .